If you’re frequently suffering from backaches, headaches, and joint and muscle pain, then you may benefit from chiropractic adjustment techniques. Don’t miss out on this natural treatment option – especially if you would rather not take pain medication. Many people are continuing to experience the benefits of working with a chiropractor to treat and manage their pain. Aside from the non-invasive and holistic care approach, let’s look at the top benefits of getting chiropractic care for different conditions. Despite the popularity of chiropractic care, there are still false impressions about the field of this type of care. From the training and education chiropractors get to how the care and treatment work as a whole. In today’s post, we’ll shed some light on these chiropractic misconceptions. Let’s take a look at the philosophy behind chiropractic and some evidence-based study and research behind it when it comes to treating some medical conditions. Finding the right chiropractor professional is your first step to a proactive approach to bettering your health. Chiropractors can mainly correct the damage and issues brought by years of trauma, poor posture, or even merely age. A sharp pain in your lower back area can significantly disrupt your day-to-day living. Unfortunately, minimal interventions can alleviate this condition. However, many patients have shown that chiropractic adjustment techniques can help ease and reduce pain. According to a study by the National Center for Biotechnology Information, 95 percent of respondents said that they were satisfied with the chiropractic care they received. Also, over 98 respondents shared that they were extremely likely to choose chiropractic over any other treatment if they experience the same condition. A clinical trial conducted by the European Spine Journal reported over 70 percent success rate when it comes to treating sciatica-related pain and symptoms. This number is compared to a 20 percent success rate from physical therapy and 50 percent from anti-pain injections. Additionally, the Spine Journal observed patients experiencing sciatic nerve pain residing in rehabilitation clinics. They concluded that patients getting active chiropractic adjustment techniques achieved better results compared to those getting simulated ones. There were also no reported adverse effects. The available pain medication on the market today are devised to treat the symptoms – not the source. With chiropractic care, specialists are well trained to address the cause of the pain and work on reversing it. Our nervous system, as you know, governs just about every function of our body, from our breathing to our posture to our reflexive responses. The nerves in our body all connect back to our spine. Thus, ensuring that our spine should always be in tiptop shape is critical. While some medications are effective in providing you relief and some level of treatment from whatever health issue you have, almost always the case is you have to deal with some side effects. With that being said, not all side effects are adverse. Nonetheless, if you would instead take a medication-free treatment approach, consider chiropractic adjustment services from a professional. 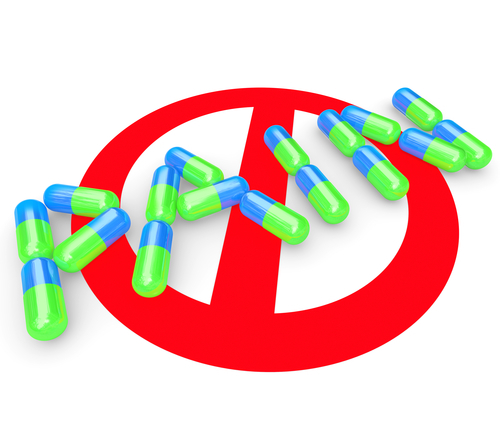 There is no involvement of drugs or medication with chiropractic – thus, eliminating any risk of side effects. Also, with chiropractic treatment, perhaps the most side effect patients experience is the soreness after each session. While others have reported experiencing a headache or fatigue, these effects are only temporary and minimal. Your body may reject it at first because of the pain and tightness its been experiencing, but over time it will adapt and respond better. After all, the goal is to readjust and realign your spinal area and nervous systems. We all have different levels of pain and tolerance; thus, chiropractors always personalize their chiropractic care and treatment plan to meet your specific needs and match your condition. Since there are multiple chiropractic adjustment techniques and tools involved in this field, a specialist will know what to use on you. Whether it’s a mobility issue or some joints that are experiencing pain, let your chiropractor know.